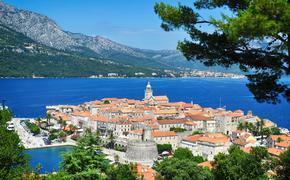 Tired of visiting the same Caribbean islands over and over? Make 2018 the year you give Curacao a try. While the island isn’t as brimming with tourists as some others, it’s becoming more popular as both a cruise ship destination and a spot for family-friendly travel fun. Picture Curacao as a more authentic version of Aruba. Its Dutch heritage is on full display, but not in a touristy way. Nothing is Americanized, and locals are very much the centerpiece of the island’s culture. Tiny restaurants abound, as do unique, one-of-a-kind clothing stores and small markets. You can buy aloe products from locally grown plants at the local Curaloe store on one corner, then pick up homemade sweet potato pancakes or an order of fresh Bitterballen on the next. 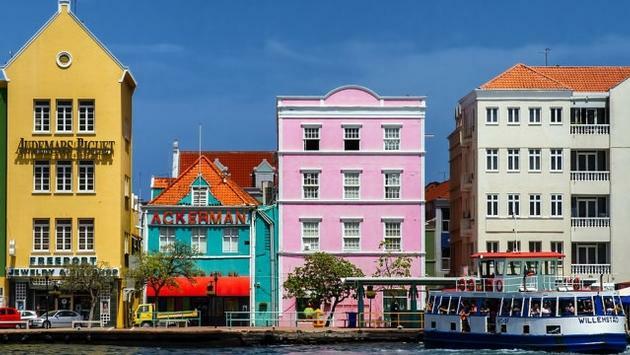 Willemstad’s floating fish and vegetable market provides the ideal spot for local fisherman and gardeners to sell their latest catch or produce, while the gorgeous Curacao Baroque architecture and bright-colored buildings will remind you that you’re in a different place. If you’re looking for nightlife and epic dining options, you’ll find that here, too. Popular Mambo Beach serves as a fun spot for tourists, cruisers and locals during the day, but transforms to a beach club with techno music and flowing drinks at night. Luke’s Bar serves up an array of interesting cocktails, including a delightful Tokyo Millionaire mix complete with a fake money garnish. If you want a beachy dinner that’s to-die-for, book a table on the sand at Hemingway’s, the waterfront restaurant at local favorite Lionsdive Beach Resort. Here, you can order fresh seafood, trendy appetizers and drinks while listening to live music next to the surf and a gorgeous beachfront. And if you’re looking for things to do, you’ll find no shortage of activities here. Beyond the ample snorkeling and diving opportunities, you can rent ATVs, dive deeply in a tiny submarine with Substation Curacao, participate in water sports or take your kids to the Curacao Sea Aquarium for an up-close look at local marine life. These are just a handful of options to choose from—if you can pry yourself away from Curacao’s white sand beaches. Wondering where to stay? Curacao offers a treasure trove of small boutique hotels and dive spots, although they boast many big hotel brands, too. Families seeking all-inclusive fun can check into the Sunscape Curacao All-Inclusive Resort for an all-you-can-eat-and-drink experience on one of the island’s most protected and beautiful beaches. On the other side of downtown Willemstad, guests enjoy the local Hilton Curacao, which features an amazing protected beach, gorgeous waterfront rooms, an open-air lobby and restaurants, plus close proximity to all there is to do in Curacao. Santa Barbara Beach Resort is also a local favorite among luxury properties, featuring a great beach, huge pools and understated grandeur. If you’re aching to see a new side of the Caribbean, add Curacao to your list. It’s just as convenient to get to as many other islands, yet it offers more culture, plenty of activities and out-of-this-world beauty you’ll never forget.